Today (Monday 23rd July) Nesta are announcing details of successful bids in the second Rethinking Parks programme. I am delighted to say that our bid for a Bristol and Bath Parks Foundation is one of the eight successful bids for the 'replication' section, which had 50 entries. This is great news for the future of Bristol's parks & green spaces. Nationally this is nearly £1.5 million of funding and support by Nesta, the Big Lottery Fund (BLF) and the Heritage Lottery Fund (HLF). Our project is receiving £193,617 of this over the two years of the initial project which will see the Foundation established. Both Nesta and Bristol City Council will be issuing press releases about this today. Rethinking Parks is all about innovation, trialing and learning from new ideas so inevitably some of the details will change as we move ahead with the project but it is important to stress that, as we have discussed at our meetings, this will NOT be a Trust that taking over responsibility for parks. 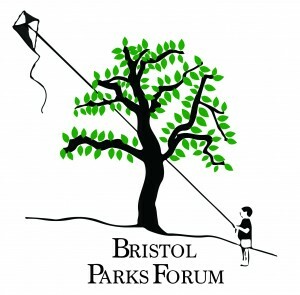 Bristol Parks will continue to manage Bristol's parks & green spaces. Nor will it replace the Parks Forum. A parks foundation is a non-profit organisation that supports a specific park or a group of parks, with time, expertise and privately-raised funds. A foundation can raise money and support volunteering, but does not take the ownership and maintenance of the parks away from the local authority. As well as BCC and Bath and North East Somerset Council, partners in the project are; The Natural History Consortium, Bristol Parks Forum, Bournemouth Parks Foundation, Quartet Community Foundation and Bristol Green Capital Partnership. As part of the project Bristol City Council has committed to appointing a volunteer coordinator to work with park groups. There will also be huge benefits from working with Bath & Bournemouth, we have already developed good relationships as we put together the bid. The first action is to appoint a project manager to set up the Foundation and recruit trustees. I'm pleased to say that BNHC have agreed to be the employer for this role. A job advert will go out in the next week or so. It will be a 10 month role; after that the trustees will recruit a Foundation Director to be employed by the Foundation. If you know of anyone who would be interested in the role of Project Manager please let me know, we are looking for someone with experience in the charity / fundraising sector. If you have any questions about the plans for the Foundation I will be happy to answer them. I could also come to your group meetings to talk about it if that would be helpful. I will be adding information on the Parks Forum website as well. Submitting this bid was a great team effort and the same team will be managing the formation of the Foundation. A big thank you to everyone involved and to the team at Nesta for supporting us.